Lawmakers and congressional staff would have to pay for their health care without government help under legislation introduced this week. 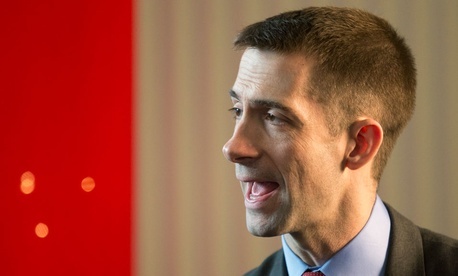 Rep. Tom Cotton, R-Ark., is sponsoring a bill (H.R. 3066) that would prohibit the government from contributing to the premium costs of health care plans covering members of Congress and congressional staff, including committee and leadership aides. Most lawmakers and congressional staff have to drop their health insurance coverage under the Federal Employees Health Benefits Program soon and enter the exchange market as part of the 2010 Affordable Care Act. The Office of Personnel Management issued draft guidance last month that said the federal government would continue to help subsidize legislative branch employees’ health plans under Obamacare. Affected lawmakers and congressional staff still have to enter the exchanges beginning Oct. 1 per the law, but, like private sector employees, they would not lose their employer contributions for these health plans, the Obama administration said. FEHBP currently pays up to 75 percent of the health care program’s premium costs. Several House and Senate Republicans are upset about the administration’s decision, arguing that Capitol Hill should not receive a special exemption under a law Congress created. “Without legal authority, President Obama plans to give subsidies to political insiders that aren’t available to any other American,” Cotton said in a statement about his bill, dubbed the 2013 No Special Deal for D.C. Insiders Act. Rep. Phil Gingrey, R-Ga., also introduced a bill that would eliminate the government’s employer contribution to the health care plans of lawmakers and staff, according to a report in The Hill. Sens. Mike Enzi, R-Wyo., and David Vitter, R-La., are leading a similar effort in the Senate. But Congress is a large employer, and many worry that the shift from FEHBP to the health care insurance exchanges under Obamacare without a government contribution would be too expensive for many aides and lawmakers, making it difficult to retain employees. OPM’s proposed rule stipulates that those affected congressional employees and lawmakers would not qualify for premium tax credits under the Affordable Care Act. Another bill (H.R. 3067) circulating in the House, sponsored by Rep. Shelley Moore Capito, R-W.Va., would strip the government subsidy of health care premiums for lawmakers only, and would not affect congressional staff.